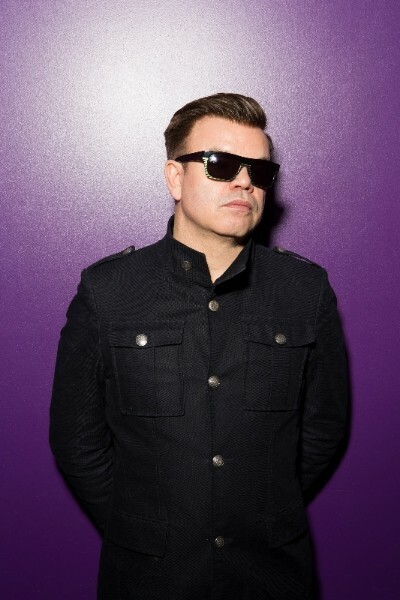 Perfecto Records and Armada recently announced the upcoming release of Paul Oakenfold’s new album, ‘Trance Mission’, which will be released on 20 June 2014. The album includes 12 new Paul Oakenfold cover versions of some of the biggest dance records ever, and included are remakes of tracks like ‘Café Del Mar’, ‘Madagascar’, ‘Touch Me’, ‘Adagio for Strings’, ‘Toca Me’, ‘Ready Steady Go’ and ‘Hold That Sucker Down’. Each one is remodeled to fit the aesthetic and style of the present day. Having worked on this project solidly for the last six months, each has been a huge contributor to Paul’s career. This cocktail of styles and moods should strike a nerve with many; not only those that will recall the power and influence these songs had during their fist life but also to those younger listeners that may be hearing of them for the first time. Paul Oakenfold: “I’ve always wanted to make this album but how do you successfully go about making a collection of cover versions of a bunch of your all time favourite records? It’s a tough question that I’ve had going round my head for many years. Yes lots of people have made remixes of these songs but few have covered them. I guess you’re wondering what the difference is right? Well a remix uses parts from the original composition whereas a cover uses nothing except the notation of the original riff. Other than that – you begin with a blank canvas – and that is what appealed to me when I decided to begin work on ‘Trance Mission’ back in summer 2013. “Deciding to create cover versions was the easy part. I didn’t want to be restricted in any way by having to use parts from the originals and in doing so fall into the ranks of other remixers. So once that hurdle had been jumped it was about selecting from the shortlist of 30 tracks we had come up with in the office. Listening back to hundreds of old live sets, old compilations, old BBC Essential Mixes – it was a heap of fun that sparked a lot of great memories but it also helped remind me which were the stand out tracks from those key moments in my career. “The list was full of genre defining titles that not only played big parts in my own career as DJ but also that made hugely significant contributions to the history and evolution of electronic music. These records meant so much to me during their first existence that I knew I had to be careful, complimentary and respectful to them when work began. But I also knew that I didn’t just want to make updated versions of the originals. Instead I wanted to approach them all with a new perspective. I know you feel incredibly protective over these songs and that’s cool because I do too, but artistic freedom of expression has always driven me to create different interpretations of the music I love and so when I began this album I knew the new versions had to be different, fresh and relevant to who I am and what I’m about as a DJ and producer today. “Don’t worry there’s trance (given the album title it would be pretty odd if there wasn’t!) but there’s also breaks, progressive, ambient, deep techno and even our dear old pal EDM. “It’s always been about melody for me – more so than genre affiliation. A great song is a great song and I will continue to play and support great songs regardless of whether they’re trance, pop, drum n bass, jazz fusion or new-wave-typhoon-dubstep (bet you haven’t heard of that one yet have you!!). “Yes this album is called ‘Trance Mission’ – because it’s filled with a selection of my favourite trance records from the last 25 years and it’s been a bloody mission to finish, but I like to think there’s something for every one of my fans – including those who see me as a trance DJ, those that see me more lined with house and those that know me for my background in film and score. Check www.pauloakenfold.com for full tracklisting.